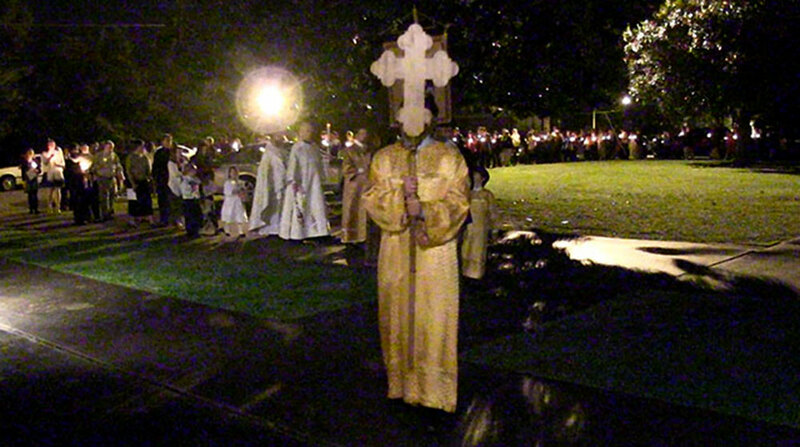 The Procession on Pascha, beginning with the sharing of the flame, the Light of Pascha, and then processing outside. The reading of the Gospel and processing back into church for the rest of the Pascha services. Exceprts from the Matins of Pascha. The blessing of the Pascha baskets after the services, just before the Pascha break-fast meal.